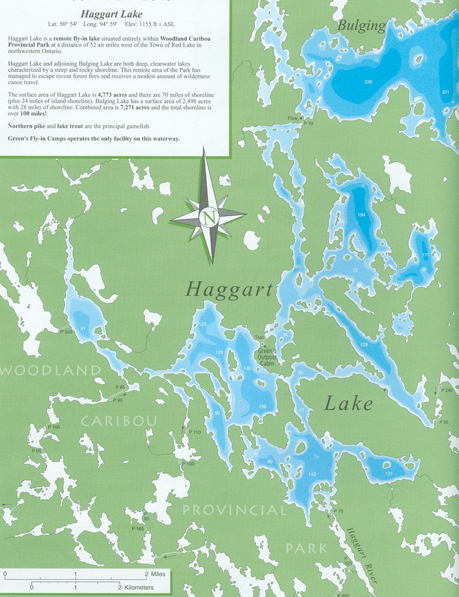 This lake is 52 air miles west of Red Lake on the western boundary of Woodland Caribou Provincial Park. This deep clear lake is surrounded by high rock cliffs with many scenic routes to travel and fish. Our outpost is the only cabin on Haggart and Bulging Lake, giving you the privilege of being the only fisherman on this 7,300 acres of water. 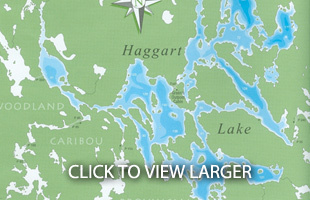 Haggart & Bulging is known for its large Northern and great Lake Trout fishing. (no Walleye) This large 10 person cabin has the space and luxuries to make your fishing trip an enjoyable one. Plenty of moose and woodland caribou are seen at this remote outpost. 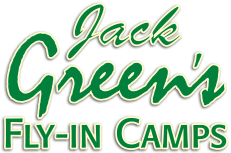 Fishing trips are 3, 4 or 7 day trips.